Poverty has hit Iranian families hard. 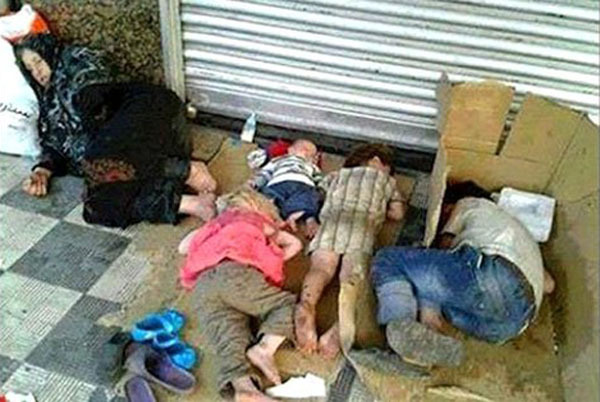 Seeing poor families living rough in streets in Iran is very common. 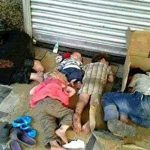 The Iranian regime is intentionally deceiving the public by withholding government statistics on poverty levels and inflation across Iran. Experts have indicated that the rising poverty level and inflation are not being fully recognized by the Iranian officials out of fear of repercussions. The Iranian public has taken to the streets almost daily across Iran to protest the rising cost of living, soaring inflation, and surging unemployment rate. Part of the issue is that old yardstick used to measure poverty no longer applies. “Previously, the poverty line was below 3 million tomans, but this has changed with regard to the current economic situation in the country; the poverty line has now reached salaries of less than 6 million tomans,” Ruhollah Babaie Saleh, a lawmaker in Iran’s parliament from Buin Zahra, said. Iran’s Parliament Research Center is still using 3 million tomans for a family of four as the criteria for being in poverty. This masks the true number of Iranians struggling to put food on the table each day. “We have not seen any of the administrations officially announce the line of poverty,” Faramarz Tofighi, the head of the Salary Committee of the Supreme Center of Islamic Labor Councils, said. “While relevant officials refuse to provide information on the poverty line, unofficial authorities provide different and sometimes contradictory statistics; we have so much of an information vacuum that data on the suitable food poverty pyramid for Iranian households has still not been specified,” the official said. Like many other issues, the issue of food poverty has been neglected, Tofighi asserted. Tofighi believes that the motives behind withholding the information are due to the inevitable consequences. “The reason is the fear of the consequences of statistical transparency, since announcing the poverty line can have a direct impact on many macroeconomic issues,” he asserted. By keeping the real poverty figures out of the public eye, the regime can get away with paying workers wages below the poverty line. One municipal worker from Nishapur told Iran News Wire that his salary has been cut to half while the prices have skyrocketed. “Before this, I received 2.7 million tomans since I had two children but in the new contract, my salary was reduced to 1.5 million tomans,” the worker from Razavi Khorasan Province said. 2018 saw the Iranian regime racked by protests across all sectors of Iranian society. This is a better indicator of the dire economic situation most Iranians find themselves in than any official statistic. As has been continually reported by MEK, truck drivers, factory workers, teachers, investors, and farmers have turned out to protest rocking inflation, reduced Iranian purchasing power, and unpaid wages. In just the last three months, 10 cities have seen protests form their workers over unpaid wages. In some cases, workers hadn’t been paid in 8 months. This is not a sign of economic stability or a low poverty rate.